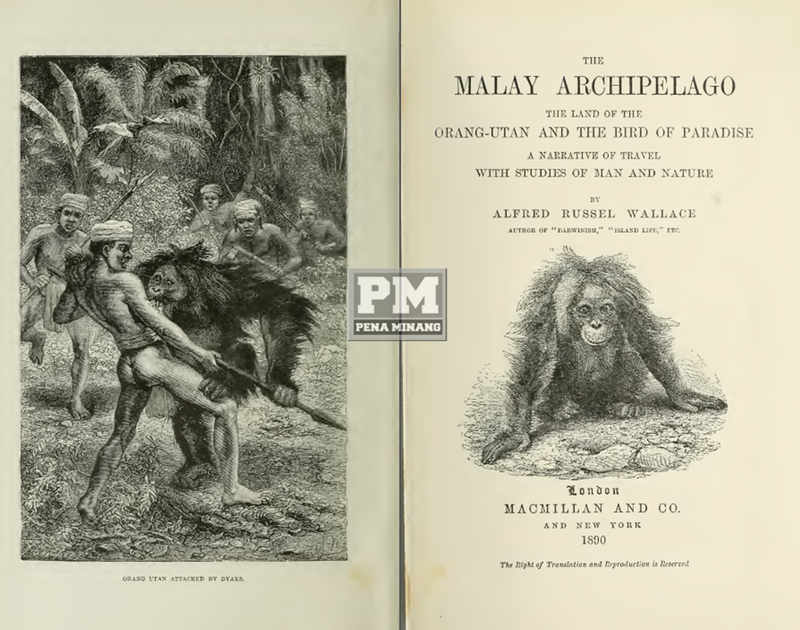 Home / 1MALAYSIA / EBOOK / ENGLISH SITE / MELAYU / SEJARAH / [E-BOOK PERCUMA] THE MALAY ARCHIPELAGO THE LAND OF THE ORANG-UTAN AND THE BIRD OF PARADISE. [E-BOOK PERCUMA] THE MALAY ARCHIPELAGO THE LAND OF THE ORANG-UTAN AND THE BIRD OF PARADISE. THE MALAY ARCHIPELAGO THE LAND OF THE ORANG-UTAN AND THE BIRD OF PARADISE. Alfred Russel Wallace (1823–1913) was a British naturalist best remembered as the co-discoverer, with Darwin, of natural selection. His extensive fieldwork and advocacy of the theory of evolution led to him being considered one of the nineteenth century's foremost biologists. These volumes, first published in 1869, contain Wallace's acclaimed and highly influential account of extensive fieldwork he undertook in modern Indonesia, Malaysia and New Guinea between 1854 and 1862. Wallace describes his travels around the island groups, depicting the unusual animals and insects he encountered and providing ethnographic descriptions of the indigenous peoples. Wallace's analysis of biogeographic patterns in Indonesia (later termed the Wallace Line) profoundly influenced contemporary and later evolutionary and geological thought concerning both Indonesia and other areas of the world where similar patterns were found. Volume 1 covers the islands of Indonesia and Malaysia.